It’s no secret – some of us spend years and years in grade school and well into our adult lives striving to become a person that everyone likes. Cliques form in high school, groups form in your workplace, and self-esteem is impacted all because of the perception of others. This all comes down to whether or not you can become and portray yourself as, a likable person. Yet, it is important to differentiate between being a “likable” person versus someone who is conforming. As someone who is likable, you possess the qualities that attract and interest others, whereas, someone who conforms is typically only focused on meeting the expectations of others without truly being themselves. There is so much more fulfillment that comes with being likable – you can build greater and more fulfilling relationships, you will undoubtedly expand your social circle, and you will be a generally happier person overall. So, how can you become a more likable person in your social circle without running the risk of conforming? We’ve put together 13 ways on how you can become happier and more fulfilled simply by making a few changes in your daily life. Possibly the most important change you can make, though hopefully you have already integrated this into your life, is to be respectful. By being respectful, this means that you are wary of not crossing others, not crossing boundaries, and treating everyone you meet with respect. You don’t want others to be afraid of you, right? Don’t be a wild card! People should know what to expect when you are around – how you treat others, your mood, etc. No surprises here. If you make plans, follow through. It’s that simple. Always be someone that can be counted on. When possible, do favors – and put others ahead of yourself. Always think before speaking and be considerate of how others feel. Don’t be afraid to go above and beyond for others – they’ll thank you in the long run. When going out with others, be sure to include everyone in the group. Go out of your way to help those who are sometimes outsiders, as this will truly impact their self-confidence and general feelings about you. If you are a leader, don’t be afraid to lead your group to do new things. Be ambitious both in your own life and in your career. 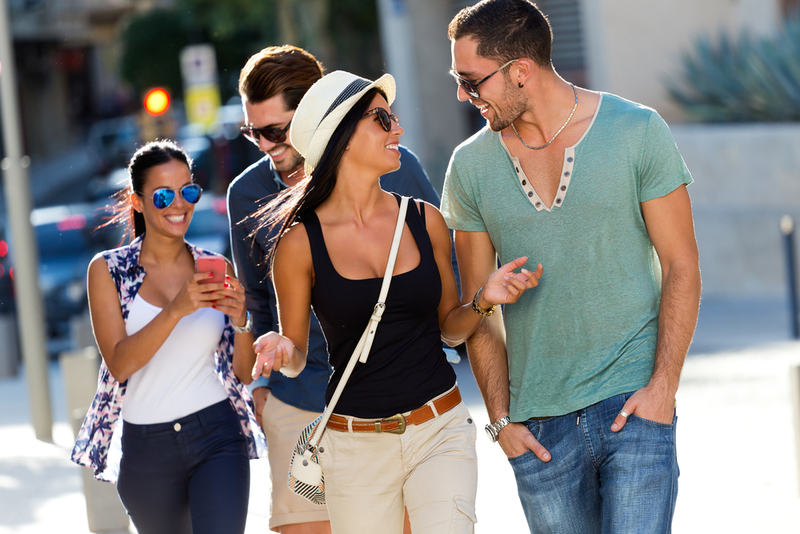 When you are out – whether with a group or on a date – be sure to be present. Yes, this means putting your phone away. Show that you generally want to be with others, and be sure to live in the moment. Sometimes it can be hard to put on a smile if you’ve had a tough day (we get it). But, did you know that faking a smile can actually make you happy? Exercising the muscles in your cheeks can release endorphins to change our mindset. Smile, laugh and be happy. Much like being reliable, it is important to follow through on what you say you are going to do. If you are wrong, or if you have made a mistake, apologize. Always take responsibility for your actions. While it’s important to not overshare, it is also important to be open with others. Don’t be secretive and seem like you are holding back. Instead, embrace ideas and be sure not to judge others. In addition to being open, it is important to be yourself and not be “fake,” as some like to put it. There is a difference between being a nice person and a “fake” nice person, so ensure you are always being yourself. When meeting someone new or while being in a group, ensure you listen to others and ask people questions. There is nothing better than meeting someone new and having him or her ask you about your life, career, and hobbies, right? Why not do the same for others? Last, but not least, let loose and have fun. Take part in group activities and engage in conversations. Keep things light. Avoid negativity. 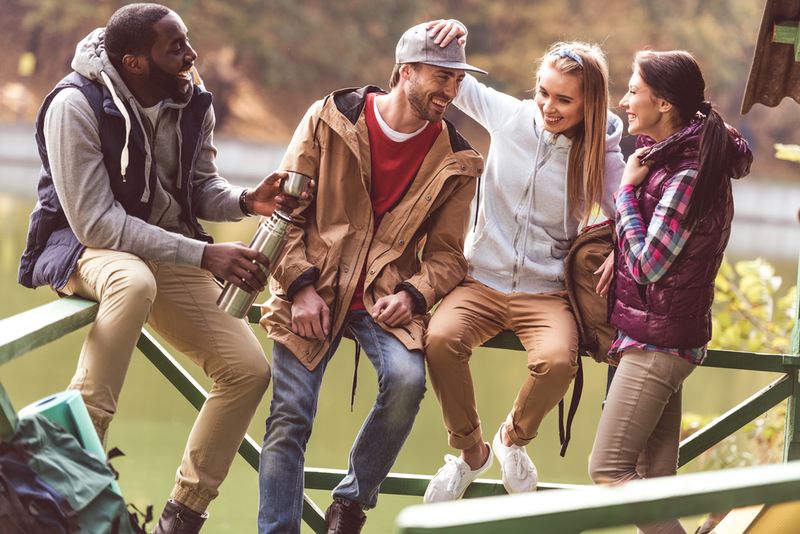 Whether you are meeting someone new or you are with a group of friends, it is important to be a likable person. Avoid being fake, and be someone you are proud of. Above all, it is important to be happy in your life and attract friends and loved ones who are real with you.